Top 3 Reasons You Should go to Business School in 2017 - SchoolFinder.com! Whether you're looking for a career change, ready to take a step up in your industry, or are seeking to expand your professional network, Hult has a degree for you. At Hult, now is the time when applicants ate finalizing their applications for our global Masters and MBA programs. If you’re still wondering, “Should I go to business school this year?” here are the top three reasons to consider it. A graduate degree in business is the ideal platform for exploring a role or industry and developing the skills and knowledge needed to launch a career. At Hult, a career change is often more than just a change of job function—99% of our MBA graduates change their country, industry, or location. Business school is all about putting theory into practice. This makes it an opportunity to gain insight into how it works in the real world through case studies, simulations, and live projects, giving you the experience you need to accelerate a career change. Considering a new career overseas? Attending school abroad might be the perfect way to gain the international experience and local market insight you need to make the change. Gaining firsthand experience in your target country puts you in a much stronger position for finding employment after graduation. In today’s competitive job market, a Masters or MBA might just be what your resume needs to take your career to the next level. 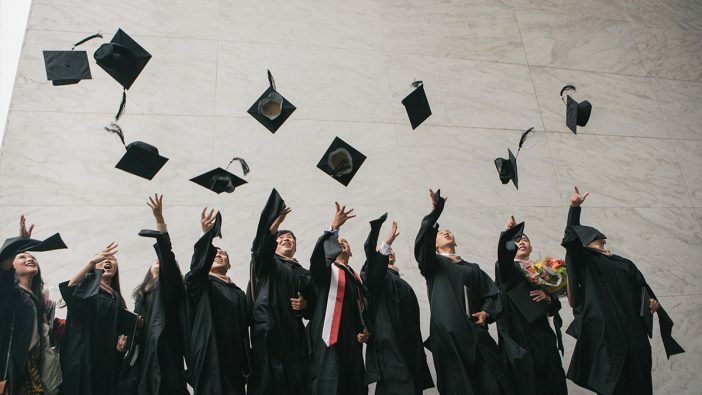 Whether you’re looking for a promotion within your current organization or you aspire to work at a top-tier global consultancy, enhancing your academic credentials is a big reason why going to business school makes sense. Beyond taking your career to the next level, earning your MBA or Master’s degree in business often comes with a salary boost too. A 2016 study has shown that graduate business school alumni earn a median base salary of $2.5 million over 20 years post-graduation — $1 million more than if they had not attended business school. At Hult, our MBA students also report a substantial return on their investment, with our 2015 MBA graduates averaging a salary increase of 130%. Business Insider found that over one-third of MBA students considered developing a network of contacts to be the most valuable asset of a business degree. During your studies, you’re likely to meet like-minded classmates who could be collaborators or colleagues in the future. Not only will your network grow in number, it will often become more diverse. Wherever you choose to study, you’re likely to meet international students from a range of backgrounds. These new connections will enrich your business school experience by introducing you to new perspectives, cultures, and international business practices. In a global business environment, they will also prove invaluable contacts for the future. Whether you’re looking for a career change, ready to take a step up in your industry, or are seeking to expand your professional network, Hult offers a range of globally focused business-related graduate degrees for ambitious professionals around the world. Interested in taking your career success to the next level? Start our application today.